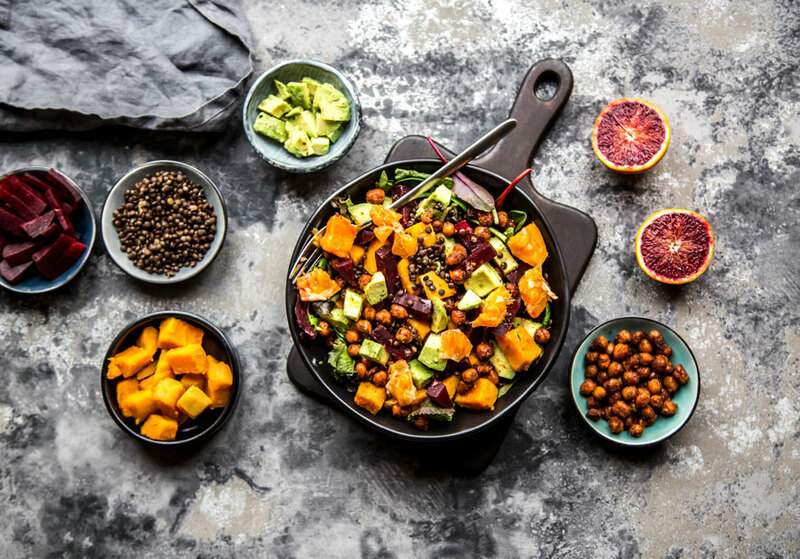 With the recent release of a new Canada Food Guide, Health Canada adds itself to a list of authorities and experts who have been preaching the merits of a more plant-based diet for years. Carol Greenwood, a professor emeritus in the department of nutritional sciences at the University of Toronto, was happy to have the agency join the bandwagon. “The visual of the new food guide is one we’ve been using for quite a while now. And there was sort of a Hallelujah moment,” she said. Greenwood is senior scientist at Baycrest’s Rotman Research Institute in Toronto, for which the focus is healthy aging. She is also the co-author of Mindfull, a science-based cookbook for brain health, published in 2014. And building upon that research, last year Baycrest released the first Brain Health Food Guide, on which she consulted. Here, what Greenwood has to say about both food guides and eating more plants. TARA LOSINSKI: So you basically scooped Health Canada with the Brain Health Food Guide and its focus on plant-based eating. CAROL GREENWOOD: Our focus was on the evidence as it relates to the brain. But basically the reason I would argue that those diets [with more plants] are healthy for the brain is that it keeps south of the brain healthy, If you look at the [Canada] Food Guide and where they’re basing a lot of their scientific evidence, it’s around cardiovascular health. And I would argue that a lot of the evidence we were drawing on was also related to cardiovascular health. TL: So cardiovascular health affects brain health? CG: Yes, and also Type 2 diabetes. And so these diets are ones that are low risk for those chronic conditions. TL: Why is eating more plants better for us? CG: When you look at people eating the higher plant diets, they have lower levels of inflammation. And so all of the harmful affects of an inflammatory background are decreased. They don’t have the same kind of buildup of cholesterol in their blood vessels, as an example. And looking at the individual nutrients within food, we know that a lot of the polyphenol compounds in fruits and vegetables actually benefit cellular health. We used to think of them only as being beneficial because they had antioxidant properties. [But] when you get into the real biology of why things are beneficial, there’s a lot of evidence there. For instance, we’ve all heard about lycopene in tomatoes being good for the eye. Does that mean that you tell people to eat more tomatoes only? Or do you say that getting polyphenols from other fruits and vegetables is going to be good for your vascular system and anti-inflammatory, so you’re better off getting more fruits and vegetables. TL: As I recall, you advocate food over supplements. CG: When I look at the trials, I’m not seeing anything that’s suggesting that taking your nutrients in pill form is going to improve your health. There may be people that need supplements because of underlying health conditions or allergies or a variety of different things but, honestly, I don’t think that the average individual who’s eating a healthful diet does. Food has a whole host of nutrients, and I really do believe it’s best to get your vitamin C, say, by eating the tomato or the orange or whatever because you’re getting everything else that’s in that food. TL: The Brain Health Food Guide recommends limiting meat to once a day. And, with the new Canada Food Guide, Health Canada has recommended that your protein sources should be plant-based more of the time. What’s your advice for making these changes while still getting enough protein? CG: One thing that I tend to see for seniors is they do naturally migrate towards eggs. They’re easy to cook. They’re easy to digest. They’re reasonably inexpensive. And things like canned fish. I think there’s ways to get away from meat that are going to be fairly easy. For somebody young, having hummus is the same as having peanut butter, right – but it’s not for older adults. So for many of them, it is introducing new foods. But just encouraging them to have a can of beans in their fridge so that when they heat food, they throw some beans in. Or lentils. Or chickpeas. For recipes from Mindfull: Over 100 Delicious Recipes for Better Brain Health, click here. TL: Like the Brain Health Food Guide, the new Canada Food Guide focuses more on what you’re eating rather than how much you’re eating. CG: For people to have to worry about what a portion is becomes complicated. You don’t want to have to look at a banana and guess if it’s equivalent to one or two servings of fruit. You’re just going eat the banana. If you’re more hungry, you’ll eat a big banana and if you’re not as hungry, you’ll eat a small one. I think having to go back and focus on serving sizes like that was just … people were finding it overly burdensome. TL: Aside from eating more plants, did anything else stand out for you from Health Canada’s new recommendations? CG: That whole piece about trying to bring our food experience back to the family table – I was really pleased to see. Eating in isolation or in front of the TV is very much associated with obesity. You’re no longer eating mindfully. You’re not stopping and enjoying the pleasure of the food. And you’re also not tuned in to your feelings of hunger and satiety — you have more of a tendency to overeat. And particularly as we age, we need to maintain a social network. And also engage in cognitively stimulating tasks. You know, planning a meal and doing an ingredient list, those things keep us cognitively engaged. And whether you share your meal with friends, or family, it means that you’re helping maintain that social network. I grew up in a family where we had dinner around the table. For me, it de-medicalizes nutrition. And I think that’s good. Food also has to be about pleasure. And so, relax. Put more fruits and vegetables on your plate. Give yourselves lots of variety. Make it tasteful. But make it a joyful occasion as well.